eady to refresh your wardrobe? We have just what you need. 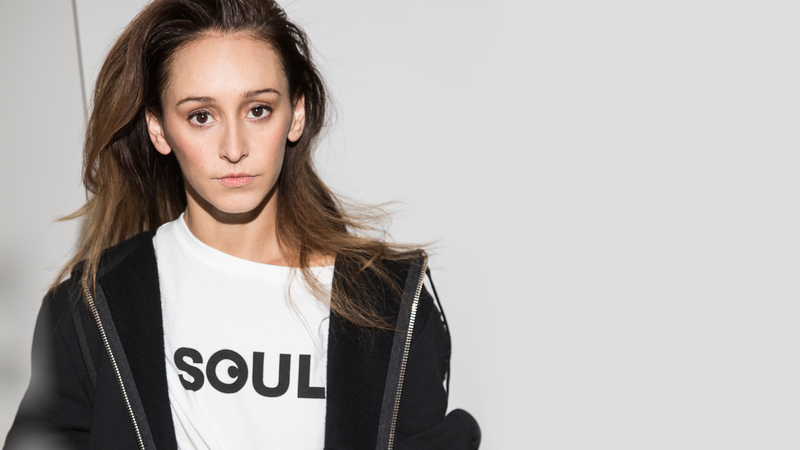 For the first time ever, SoulCycle has partnered with Public School creators Maxwell Osborne and Dao-Yi Chow to craft an exclusive new collection. Elevated tees, sets, and outwear make up the studio-to-street capsule, taking you off the bike and onto the runway. Read an interview with Osborne and Chow on the collaboration, ahead! Tell us a little bit about Public School and its origins. Dao-Yi Chow: Public School is a men’s and women’s designer collection based here in NYC. We called it Public School because Max and I both went to public schools and felt it was just the quintessential New York experience. It was about celebrating all the things we loved about New York — the imperfect perfection of New York City. We have a mantra at Public School: “Finding the perfection in imperfection.” That symbolizes our approach to designing the men’s and women’s collection and our approach to the collection. What made you want to partner with SoulCycle for this collection? Maxwell Osborne: This partnership really came into fruition after we did a Public School SoulCycle class. We had a bunch of our peers and friends do a class and we really fell in love with it. There was something about the music and energy of it that really drew us to SoulCycle. You’re in your own element, the music is blasting like a nightclub, but you also are working out and being healthy. That experience was something we really wanted to be involved with. Dao-Yi Chow: The whole concept of workout classes is such a New York phenomenon. You have to fit it in when you can fit in… it may be before work or after work. Our approach to our collection is pretty much the same: everything to get you through the day. We felt really connected to the SoulCycle ethos: the idea of constantly being on the move, being in motion. How do we get the girl through the entire day — from work, to class, to dinner. You have to fit all that in. So the whole idea of motion, works within what we do. What inspired you in the creation of the collection? Maxwell Osborne: Because we are such a New York City-based brand, we used that as our backdrop —the SOUL in SoulCycle as the bike lane here in the city. That idea of bike messengers and movement was something we looked at for art. The product is either for coming to and leaving class, that day-to-evening piece. You can wear the bomber jacket or the hoodie and it doesn’t look like you just worked out or are going to work. You can live, play, and go to work in these outfits. Dao-Yi Chow: It’s the same sort of concept of being constantly on the go. It’s not like you can just dress for one specific thing. That’s how we looked at the collection. You can wear it to class or after class or even in class. We wanted the 360 of being functional and versatile. Shop our new Public School collection right now. Ready to ride? Grab a series HERE.